Boulder, CO is famous for hundreds of miles of the best mountain biking in Colorado. 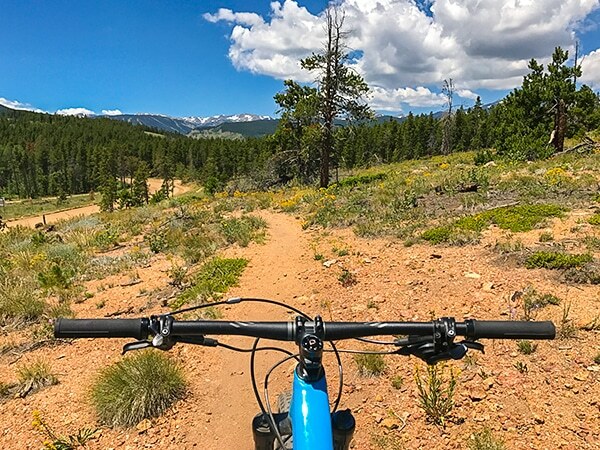 If you plan to visit Boulder to enjoy the outdoor recreation and beautiful scenery, mountain biking is a great option to get around and see a lot. 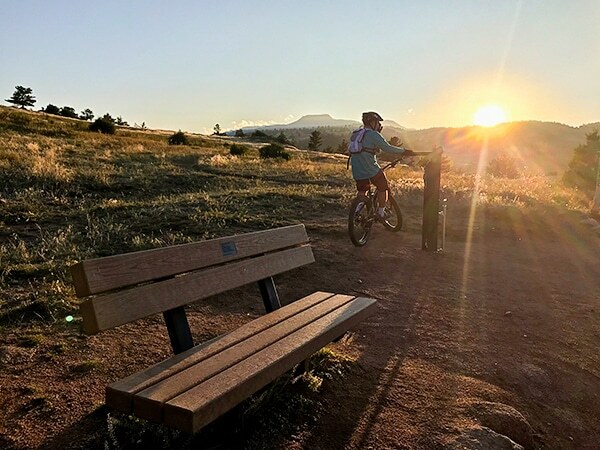 The best MTB trails around Boulder includes easy trails for children and beginners as well as some of the most challenging trails in the state. Here is a list of the 10 best mountain bike trails around Boulder, Colorado. 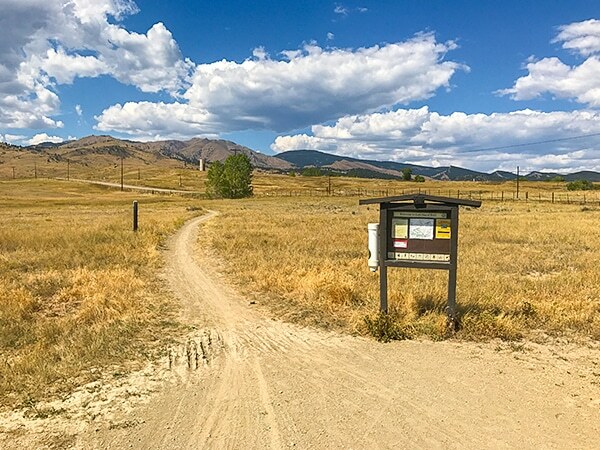 One of the best mountain bike trails around Boulder for seasoned riders is Hall Ranch. With fast downhill trails, strenuous uphill climbs and some technically challenging rock gardens, this is a ride you should not miss. 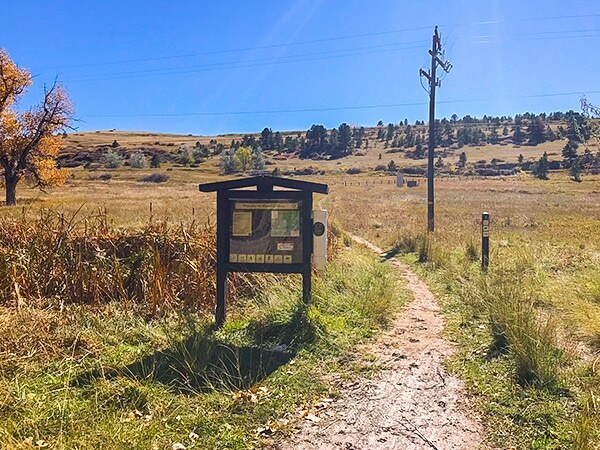 You will find Betasso Preserve close to the downtown area of Boulder. It offers a variety of challenges for an all-around good ride. It is one of the best mountain bike trails around Boulder. You will need good navigation skills to get around the maze of West Magnolia. One of the Best MTB trails around Boulder, you may think you are lost in the forest, but, don’t worry, you’re not. 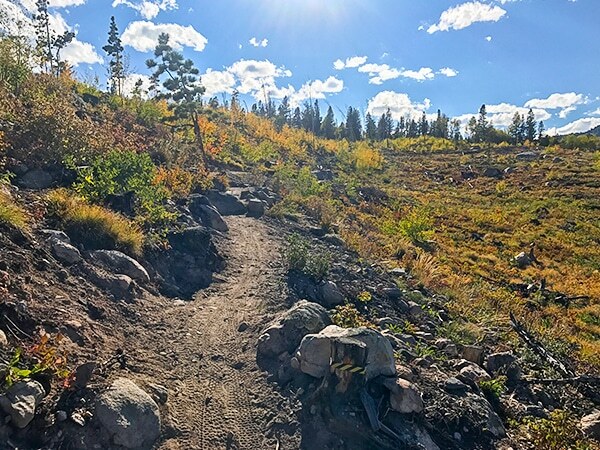 If you’ve ever wanted a private mountain bike trail, you will love The Dot. It offers some of the best mountain biking in Colorado, and you’ll love the spectacular views. Some of the best mountain biking near Boulder is north of Boulder. Heil Valley Ranch will test your technical knowledge and if you can stop for a break, you will be rewarded with amazing scenery. 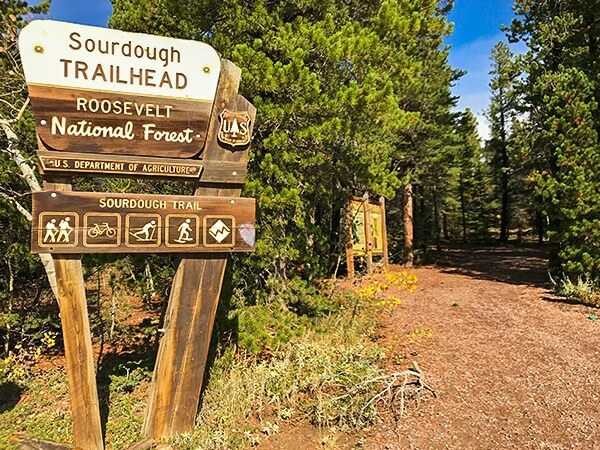 If you are ready for the altitude of 9,200 feet, the South Sourdough Trail will give you a beautiful ride through the Roosevelt National Forest. This is one of the best mountain bike trails around Boulder if you love a woodland setting. Doudy Draw Loops has a little bit of everything that mountain biker’s love. You will climb, cruise, race downhill and see spectacular views from the base of the Boulder Flatirons. 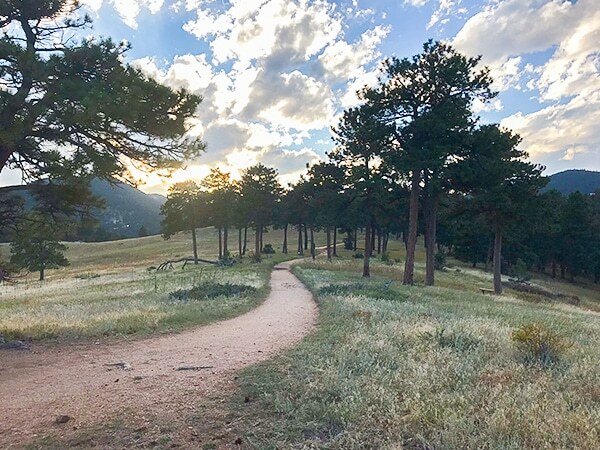 This is one of the best trails around Boulder so don’t forget your camera. If you’re just easing into classic Colorado mountain biking, check out Dirty Bismark. The track is a loop that runs through forests and gives great views of the Boulder Flatirons. The ride is mostly level, so it is one of the best mountain bike trails around Boulder for beginners. You will need some uphill skills to conquer the Walker Ranch Loop, but it is worth the effort. 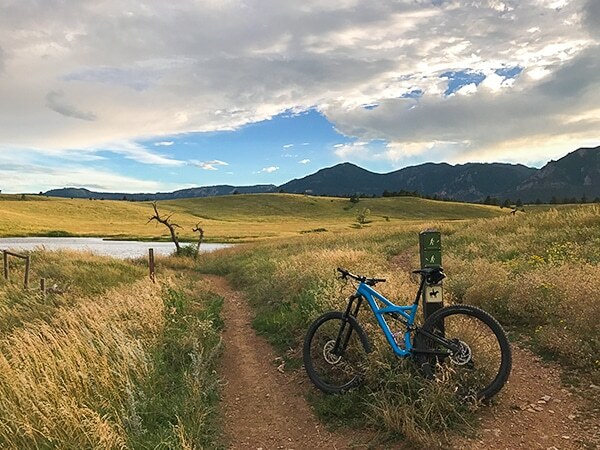 This great mountain bike trail around Boulder has a number of spectacular views, but when you reach the highest point on the trail it’s amazing. 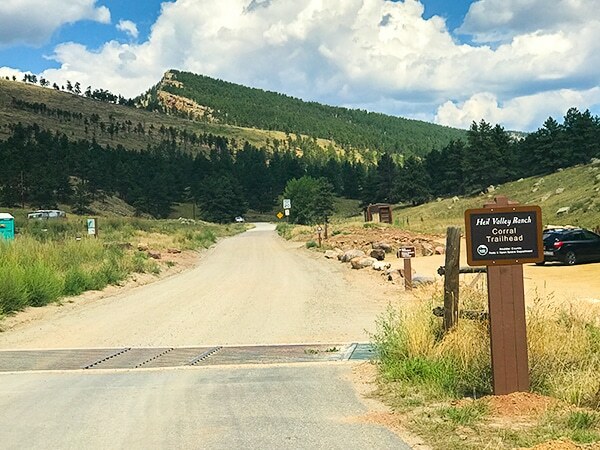 If you want to have some fun for a few hours on one of a great mountain bike trail around Boulder, North Boulder Valley is the place to go. It has lots of sun exposure and is almost always dry. 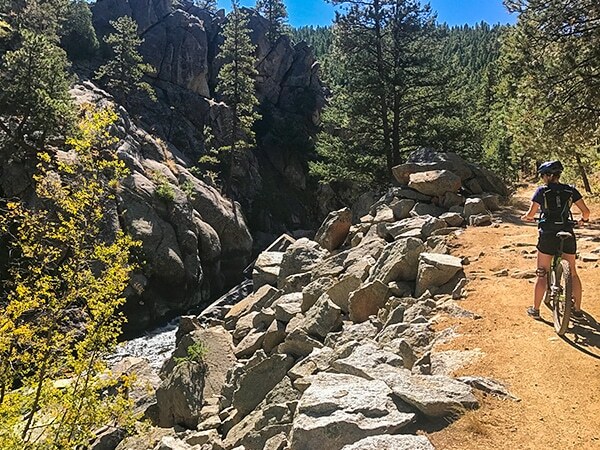 If you don’t have time to enjoy one of the other great mountain bike trails around Boulder mentioned above, this offers a great cross-country ride that is easy to reach year-around. Not sure if my oldie Radon Zr would survive these trails. Good choice of trails though, thanks.